Over the years, The CW's Arrowverse of shows has enlisted an impressive array of actors, whose filmography spans all across stage and screen. But as it turns out, a surprising number of Arrowverse actors got their start -- or at least made some sort of appearance on -- Glee. That's right, Fox's hit musical drama/comedy hosted a large number of Arrowverse stars before they ultimately traveled over to Arrow, The Flash, Legends of Tomorrow, or Supergirl. From those in starring roles to those who have made small cameo appearances, there's a unique bit of crossover between the two franchises. So, which actors fall into that category? While this is by no means a definitive list, here are almost a dozen Glee alums who have since made appearances in the Arrowverse. Sure, Gustin has now become a household name amongst DC Comics' fans for his role as Barry Allen/The Flash. But for those who followed Gustin from his days on Glee, this role was a pretty major revelation (one that arguably helped bring some Glee fans over into the Arrowverse). 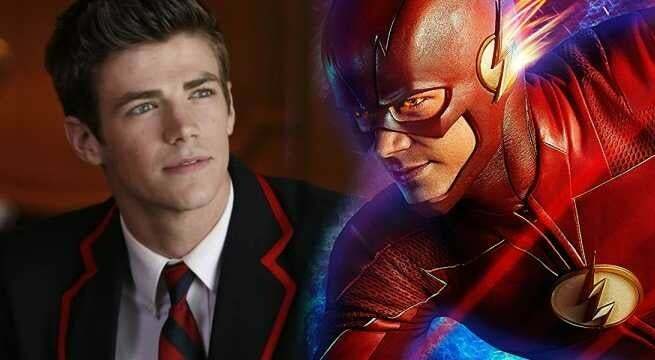 On Glee, Gustin played Sebastian Smythe, the new leader of the Dalton Academy Warblers (we'll get to the old leader in a minute) and a frequent thorn in the side of some of the show's main characters. Over the course of three seasons, Sebastian caused quite a bit of trouble for New Directions, both during and outside of show choir competitions. But ultimately, Sebastian grew to have a better relationship with the show's main ensemble, even helping two of his former enemies get engaged. For those who have mainly seen Gustin's performance as Barry Allen, his time on Glee is sure to be a sort of interesting blast from the past. But hey, imagine if Savitar had belted out a pretty awesome version of "Smooth Criminal". But Gustin wasn't the only Glee alum chosen to lead an Arrowverse show, with Melissa Benoist cast as Kara Danvers/Supergirl almost a year after The Flash's debut. Prior to that, Benoist had accumulated an array of fans thanks to her role as Glee's Marley Rose, filling the "girl next door" role at McKinley High after Rachel Berry (Lea Michele) graduated and went off to college. Benoist played a role in the show's fourth and fifth seasons, before she was ultimately cast as the Girl of Steel in early 2015. 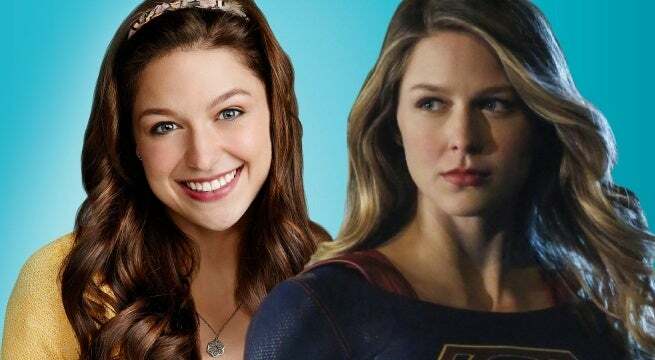 Weirdly enough, Benoist and Gustin's characters didn't really cross paths during the times they were on Glee, making their various Arrowverse adventures - including last year's musical crossover - even sweeter for fans of both franchises. 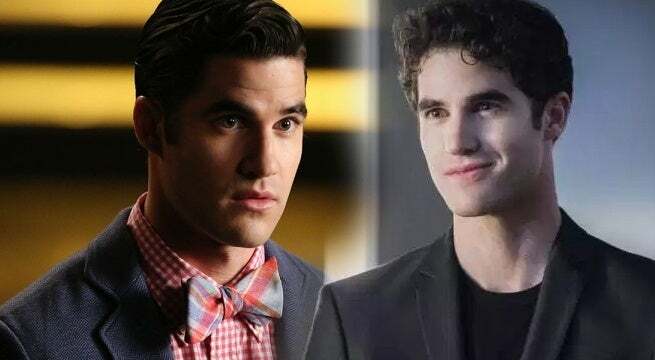 Speaking of that musical crossover, the episode (and its lead-in during that week's Supergirl) provided a pretty sweet Glee reunion, with the casting of Darren Criss as the villainous Music Meister. Criss became a largely-beloved part of the Glee world in the show's second season, when he debuted as the leader of the Warblers and the apple of Kurt Hummel's (Chris Colfer) eye. Their dynamic quickly became a fan-favorite element of subsequent seasons, with Criss saying on board the series until it ended in 2016. Even before that, fans of both Glee and the Arrowverse had been clamoring for Criss' to cross over in some way, largely because of the slightly antagonistic relationship his and Gustin's characters shared. And with Music Meister's status at the end of "Duet" remaining pretty open-ended, who knows if the two could share the screen in the Arrowverse again. Yes, about a year before Facinelli brought Supergirl's Maxwell Lord to life onscreen, he had a somewhat recurring role throughout Glee's fifth season. Facinelli played Rupert Campion, a Broadway director who was helming a production of Funny Girl. Rachel Berry grew eager to impress Rupert throughout the early episodes of season five, before ultimately landing the lead role in the musical. 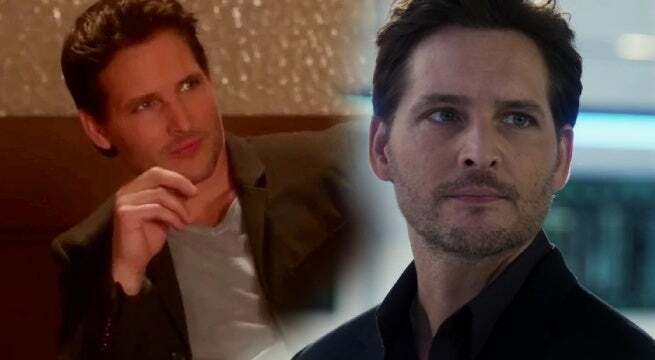 Ultimately, Facinelli's Glee character sort of just vanished out of the storyline, something that's weirdly consistent with his role on Supergirl. 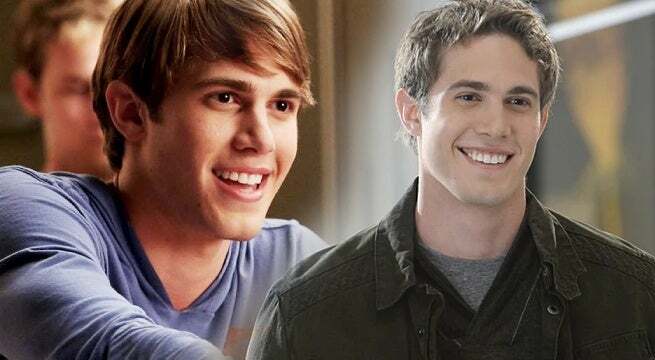 The first season of Supergirl proved to have quite a few Glee veterans in it, with Blake Jenner also joining the fold partway through the season. While Supergirl fans might remember him as Adam Foster, the adult son of Cat Grant (Calista Flockhart) and brief love interest of Kara, Jenner had a much larger role within the world of Glee. Jenner actually got onto the show after winning the tie-in reality show The Glee Project, which led to him playing Ryder Lynn on the show for about thirty-or-so episodes. After meeting on Glee, Benoist and Jenner were briefly married in real-life, before their divorce was finalized late last year. 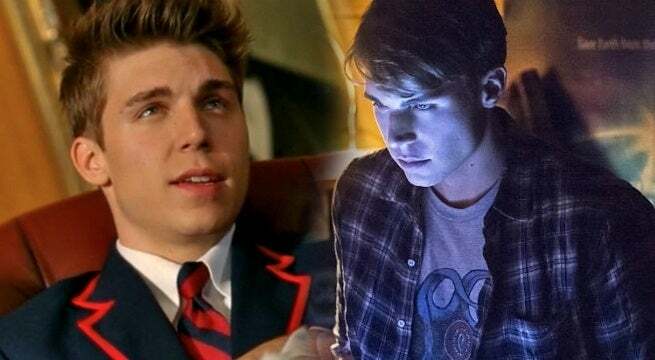 As it turns out, Supergirl wasn't the only show to have a brief love interests who previously appeared on Glee, with Arrow's Nolan Gerard Funk falling into that category as well. Funk played Hunter Clarington, a member of the Warblers who debuted in the season four episode "Dynamic Duets". Hunter somewhat functioned as a sidekick of Sebastian's, taking over as captain of the Warblers before being kicked out due to substance abuse allegations. Almost a year later, Funk had a similarly villainous role on Arrow, playing Cooper Seldon, the college boyfriend of Felicity Smoak (Emily Bett Rickards). Cooper then returned briefly in season four, working with Damien Darhk (Neal McDonough) before ultimately being murdered by him. Interestingly, "The Secret Origin of Felicity Smoak" brought not just one, but two Glee alums into the Arrowverse. 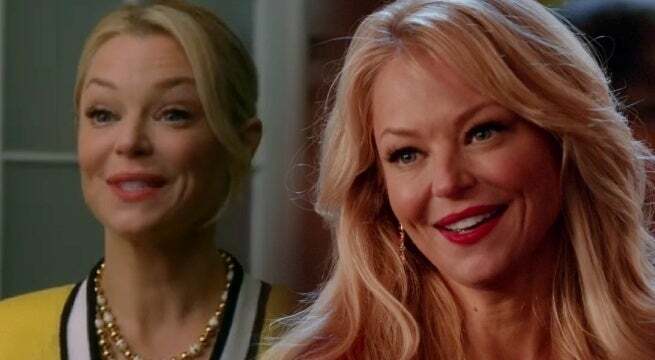 In the same episode, Arrow fans were introduced to Charlotte Ross' portrayal of Donna Smoak, Felicity's exuberant mother. But prior to that, Ross played a TV mom on Glee as well, playing the mother of Quinn Fabray (Dianna Agron). Even fans of both franchises might not catch that Ross played both wells, considering just how different they are, with Judy Fabray being much more conservative and mild-mannered than Donna. Weirdly enough, both of Quinn Fabray's onscreen parents have made it into the Arrowverse, albeit in completely different ways. 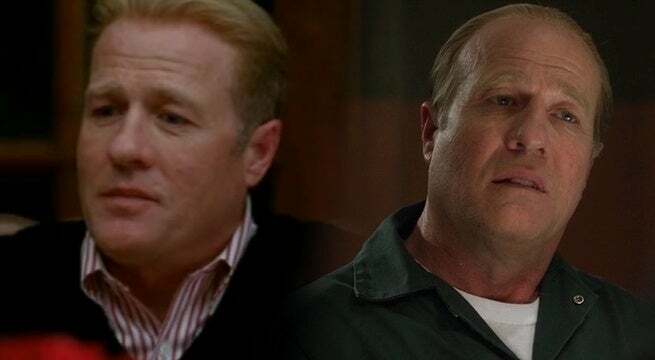 Character actor Gregg Henry had a one-episode role in Glee's first season, with his appearance as Russell Fabray largely consisting of him disapproving of his daughter's teenage pregnancy. Judy quickly realized that Russell was having an affair, leading to her divorcing him and him essentially disappearing from the show. Years later, Henry had a role in Supergirl's second season, in the episode "Alex". Henry played Peter Thompson, an imprisoned man whose son decided to kidnap Alex Danvers (Chyler Leigh) as a way to free his father. This Supergirl appearances marked the latest of many superhero-related appearances for Henry, with him briefly playing the grandfather of Peter Quill/Star-Lord (Chris Pratt) in both Guardians of the Galaxy films. That's right, Dr. Martin Stein himself also had a brief role in Glee's first season. Garber appeared in the season one episode "Acafellas", as the bow tie-wearing father of Will Schuester (Matthew Morrison). It's almost a blink-and-you'll-miss-it appearance, and one that's early enough in Glee's tenure that fans might not even remember it. 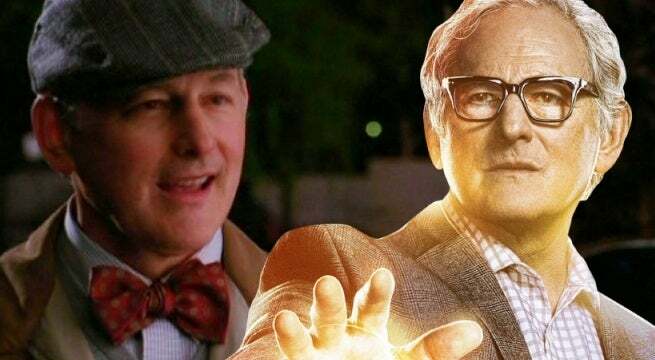 In the years since, Garber has certainly made a much larger impact on the Arrowverse, appearing as Stein from The Flash's first season, before carrying the role over to Legends of Tomorrow. And while Stein met his tragic (seriously, really, really tragic) end during this past year's "Crisis on Earth-X" crossover, there's a small chance fans could see him return once again. 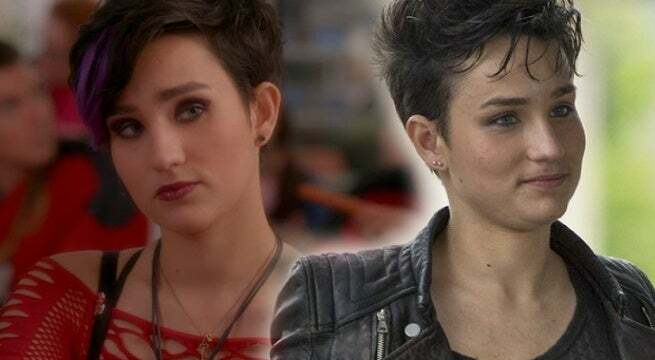 Bex Taylor-Klaus, who brought to life Arrow's version of Sin, is probably the only actor on this list to make the jump to Glee after appearing the Arrowverse. Taylor-Klaus had a pretty prominent role in Arrow's second season, as the prodigy of Sara Lance/White Canary (Caity Lotz) and the friend of Roy Harper (Colton Haynes) and Thea Queen (Willa Holland). A few years later, Taylor-Klaus then briefly appeared in Glee's second-to-last episode, playing a bully - fittingly named "Bex" - who harassed Rachel and Kurt. And finally, the newest Glee veteran to join this list is Max Adler. 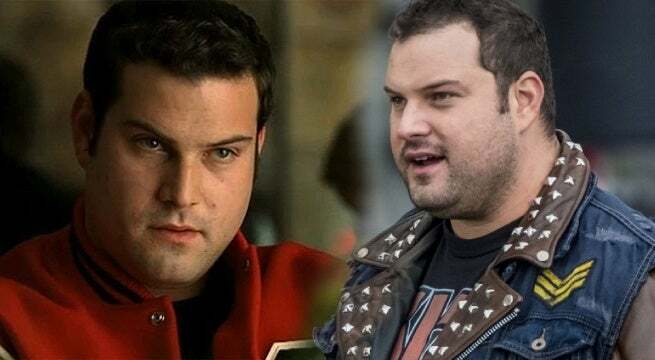 Adler is best known in the Glee world for playing David Karofsky, a regular bully of the members of the Glee Club for the first few seasons of the show. Throughout his tenure on the show, Karofsky gradually came to terms with the fact that he was gay, in a storyline that was somewhat surprising to some of Glee's viewers. Now, Adler is set to make his Arrowverse debut in this week's episode of The Flash, "Run Iris, Run". The actor will be bringing to life Jaco Birch, a pyrokinetic villain who is set to go up against Iris West (Candice Patton). Which Glee alum was your favorite addition to the Arrowverse? Sound off in the comments below. Legends of Tomorrow airs Mondays at 8/7c. The Flash airs Tuesdays at 8/7c. Arrow will return on March 29th at 9/8c, and Supergirl will return on April 16th at 8/7c.